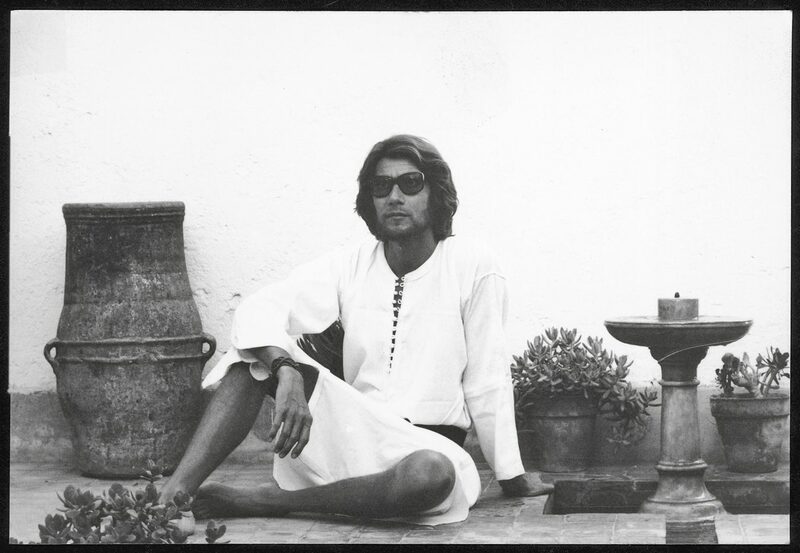 Yves Saint Laurent, Dar el Hanch © Pierre Bergé. 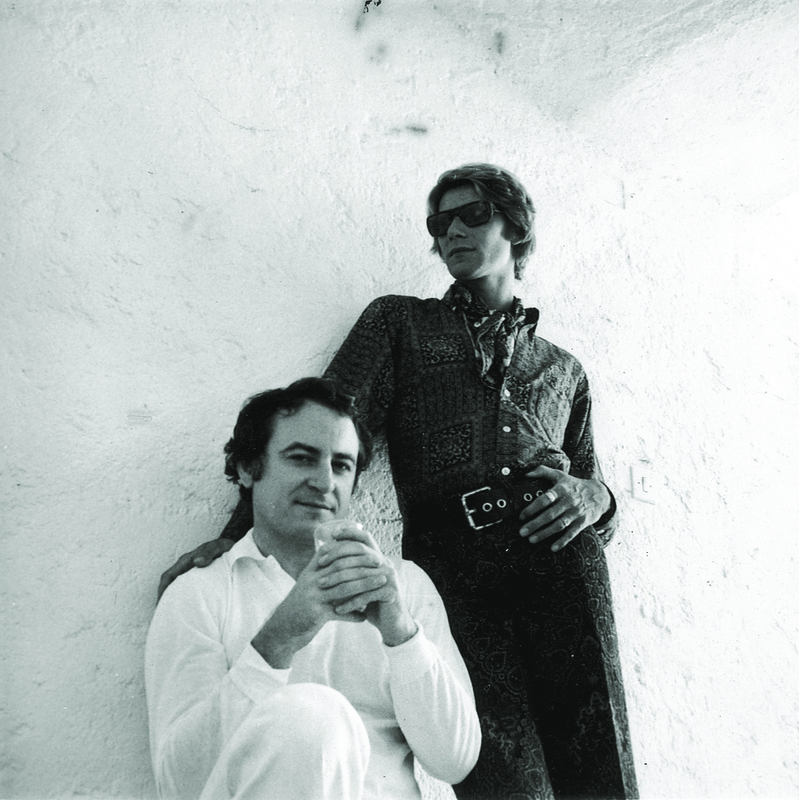 Pierre Bergé and Yves Saint Laurent. 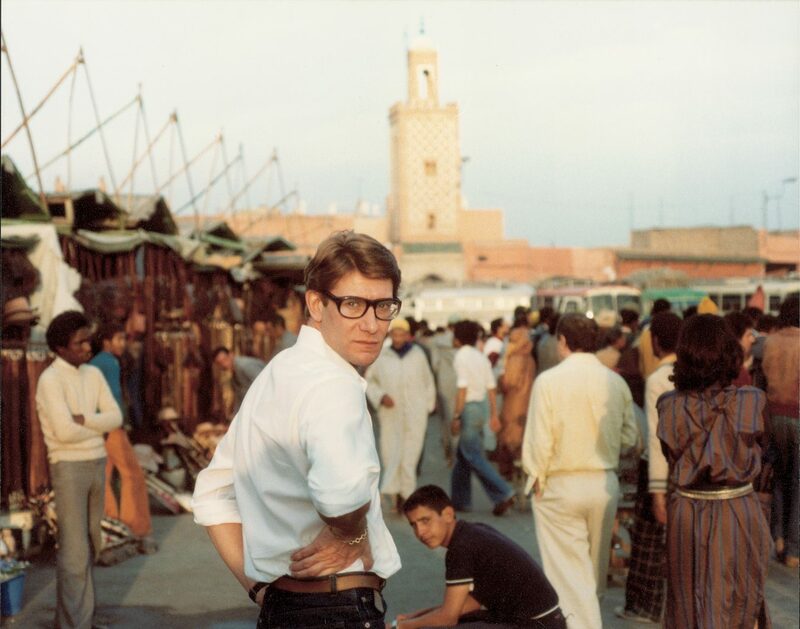 Yves Saint Laurent, Place Djemaa El Fna. © Reginald Gray. Cape de faille rouge brodée de bougainvilliers. Imagine living in a black-and-white world and then suddenly discovering colour. Life turns from dull to electric, with bright blues and yellows and reds covering landscapes, buildings, people. That is how Yves Saint Laurent felt upon landing in Marrakech, Morocco in 1966. 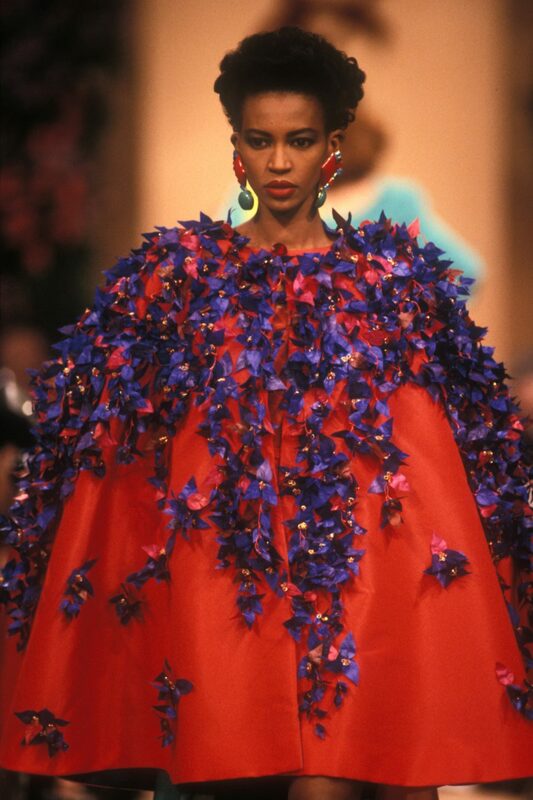 It is here that the late, legendary fashion designer realized the power of vibrant, vivid hues. 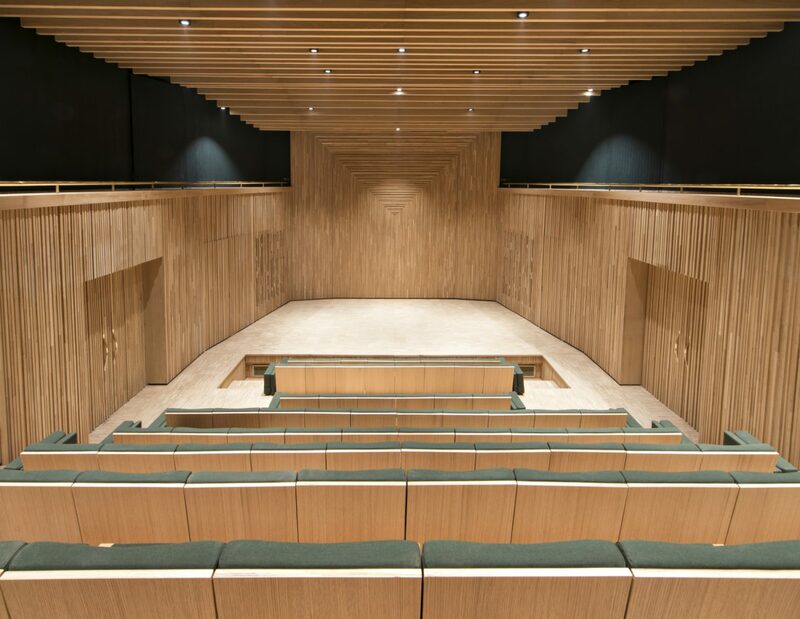 The North African city went on to inspire many pieces and collections for his eponymous clothing and accessories house. 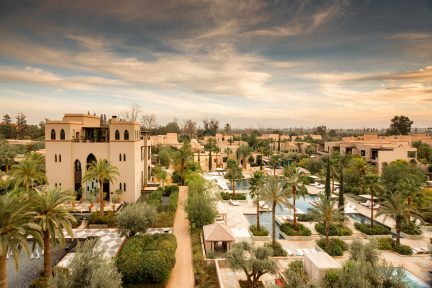 Saint Laurent’s time in Marrakech is prolific; not only did he and longtime life and business partner Pierre Bergé travel here in ‘66, but they fell so in love with it that they purchased a local home and continued to visit on a regular basis. The Moroccan influence is felt throughout Saint Laurent’s late ‘60s and early ‘70s collections, though really one cannot argue it was present until he stopped designing in the 2000s (he died of brain cancer in 2008). 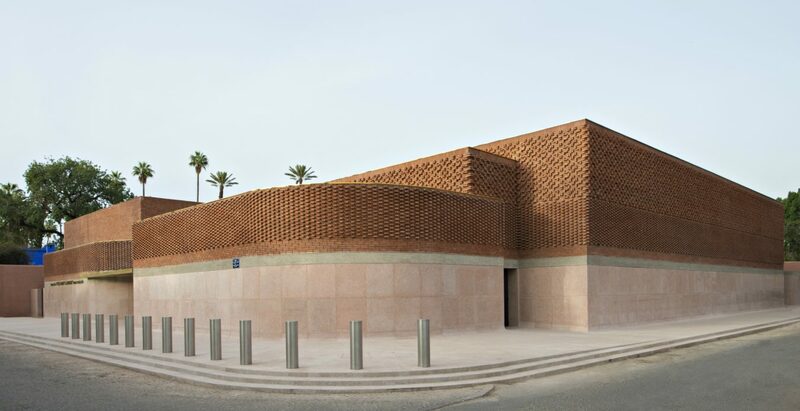 Just over 50 years after touching down on Moroccan soil, Saint Laurent’s adoration for Marrakech is being celebrated with the highly anticipated launch of Musée Yves Saint Laurent Marrakech, which opened its doors to the public on Oct. 19, 2017, on Rue Yves Saint Laurent. 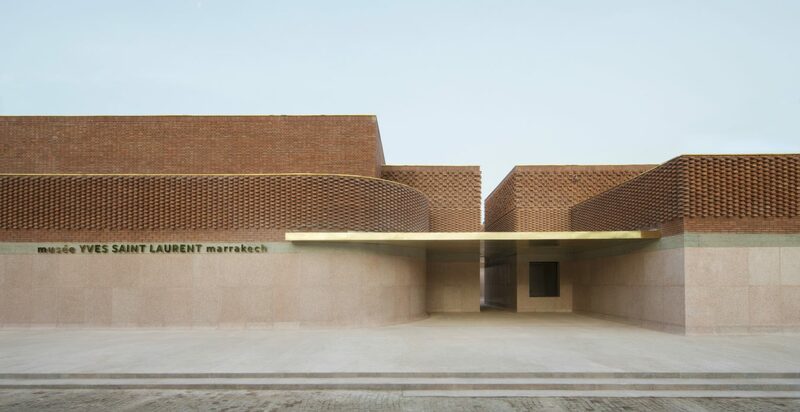 The exterior of the building sets the tone: long and geometric but covered in Marrakech’s ubiquitous pinky-sand hues, it is at once traditional and contemporary. 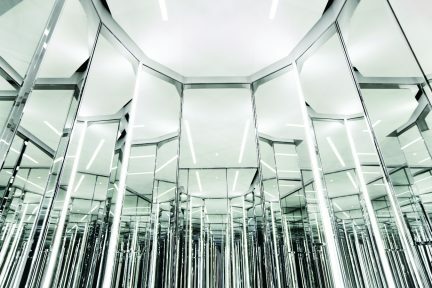 Guests enter through a circular courtyard where in the centre, three letters—YSL—bask in the sunlight. The building sits around the corner from Jardin Majorelle, a garden complex originally owned by Jacques Majorelle and eventually purchased and preserved by Saint Laurent (he and Bergé even lived in the house on the property at one time). 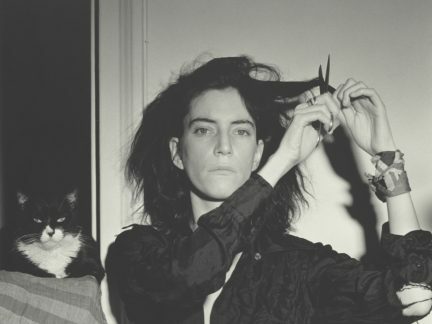 Among the bright blue paint and swaths of exotic green plants, signs lead to a memorial for Saint Laurent. Surrounded by green leaves, the column and plaque are connected by a large square painted pink. And today, another sign has been added to the mound: Pierre Bergé, 1930 – 2017. 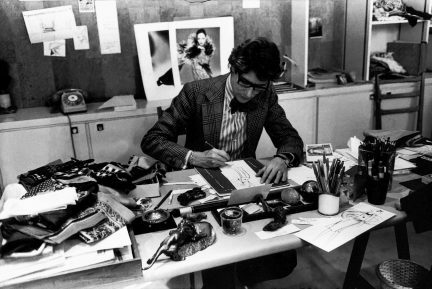 Read more about Yves Saint Laurent.